Proposition 10 is the most important piece of renter legislation to hit ballots in decades. It is an indispensable step in relieving the affordability crisis which has fueled a statewide wave of no-fault evictions, displacement, and homelessness as prices have skyrocketed from speculative development. Prop 10 is the canary in the coal mine, signaling who is for a progressive agenda to create lasting housing security, and who is profiting from a broken system fueled by class-based exclusion and the commodification of housing. Housing policy is an extremely complex set of land-use parameters which vary drastically between regions. Many peer reviewed sources have been sited in opposition to rent control, just as many have been sited in favor of it. Theoretical impacts that may culminate as a result of rent-control expansion are typically under-supported by adequate data from a similar policy climate. Thus, housing policy experts will agree that price-control mechanisms like rent-control and inclusionary-zoning do impact property values more negatively than unregulated markets. The extent of these impacts are difficult to forecast, yet provide effective and immediate reductions in evictions and displacement when the market fails vulnerable and low income households. Why do we need Prop. 10? California just needs to build more housing, won’t rent control make things more expensive? Prop 10 repeals the Costa-Hawkins Act, a piece of legislation that hit the books in 1995 which forbid changes to or enactments of municipal price control regulation for new rental units, single-family homes, and any form of vacancy-control. This shift in centralized power has left local governments helpless to fine-tune their housing regulations as economic access has changed. One of the most consequential actions of Costa-Hawkins was the forceful removal of statewide vacancy-control regulation, which allowed landlords to raise any vacated rent-stabilized unit to “fair-market rate”. The ramification of this policy change has incentivized thousands of cases of tenant harassment, no-fault evictions, and illegitimate Ellis-Act evictions. By keeping unit prices stable between occupancies vacancy-control protects tenants from landlords abusing eviction as a tool for profit. Removing vacancy-controlled units from the state’s housing stock has created a constricted and underperforming rental market by further reducing the total number of changes in tenancy. For middle and low income households living in rent-controlled units, moving out is not an option because they cannot afford to compete for market rate housing. The lasting impact of vacancy-decontrol is that tenants have lost their freedom of choice because they cannot leave their home without sacrificing affordability. Costa-Hawkins has negatively impacted the rental market by constraining housing supply while supporting real estate interests by keeping rents obscenely high. Property owners, especially corporate landlords, profit more when supply does not meet demand. This process drives up rents and property values thereby generating more stakeholder return. The sheer power of repealing Prop 10 is immense, having the potential to drastically alter the state’s current housing climate, and reshape how millions of dollars have been spent to relieve the symptoms with little avail. By repealing Costa-Hawkins, hundreds of thousands of rent-controlled units across California can gain vacancy-control protection. In San Francisco rent-controlled units are generally found in multi-unit buildings built before June 1979 and account for a sizable portion of the city’s housing stock (not officially quantified, but safely estimated over 100,000 units). By applying vacancy-control to currently rent-controlled buildings, thousands of units would be available to rent at below market rates. Historically immobilized tenants would now have the power to find housing within their budget. This will reduce pressure on local governments which spend millions of dollars on land acquisition and urban development, a time consuming and expensive process which has produced minimal housing in proportion to need. Once rents and evictions are stabilized citywide these Housing & Community Development funds can be appropriated to homelessness services and mental health treatment to serve the needs of San Francisco that have seen the worst of this crisis. Historically, Prop 10 is a comparatively conservative approach to an issue that is not new to urban America. In the 1930’s Lower Eastside garment workers of New York City experienced housing insecurity and exploitation as rents rose and wages remained stagnant. Mass unaffordability and eviction resulted in a citywide crisis of civic insurrection as the tenant rights movement clashed with unscrupulous landlords. Although overworked and exploited working class renters drew strength from the Democratic and Communist Parties in organizing tenants with anti-eviction resources during city-wide rent strikes, the fragmentation of privatized housing was not a success as tenant radicals had hoped. However, it did succeed in establishing a system which requires landlords to abide by rental guidelines in the form of controlled price increases. These price increases are dictated by the New York City Rent Guidelines Board to ensure rental increases for hundreds of thousands of tenants are humane. Will Vacancy-Control negatively impact housing production? Absolutely not. Vacancy-control will bring hundreds of thousands of units back to the market at below market rates. Rent-controlled units have generally existed for 40 years or more, and most California cities implemented rent control ordinances in the late 1970’s as homeowners and renters alike fell victim to the volatility of housing affordability. Because these buildings were built when land and development costs were lower, there were different expectations for future profits. Alternatively, new properties built on expensive land require high rents by design to generate return for stakeholders, while pre-existing units do not. The incentive to evict tenants of rent-controlled units will protect future seniors like 100 year-old Iris Canada of San Francisco, who was evicted for the purpose of condo-conversion in 2017, and passed away shortly after the shock of her forceful removal. It is essential to understand that repealing Costa-Hawkins will not create new rent control, rather it frees local governments to pass housing policy in their jurisdiction which reflect their unique needs. It is often the case that to best serve tenants who need protection like seniors, veterans, and low-income communities of color, municipal policy must be tailor fit to the conditions of their environment. Opponents of Prop 10 argue that repealing Costa-Hawkins will stop development of new housing. This is highly unlikely and runs counter to how markets actually function. What should be actually be anticipated is a reduction in luxury development, as will result from market supply more closely aligning to market demand. Integrating price-control mechanisms into statewide YIMBY upzoning campaigns would allow protection of vulnerable communities before handing out density bonuses, enable democratic control for future policy initiatives, and polish what is currently on the books. Some of the most influential opponents to refining or expanding rent control are closely aligned with institutions that are financially invested in the housing crisis. These actors profit from the artificially constrained nature of property ownership, which increases prices to levels only affordable to a small percentage of the population. These market investors have treated housing in California as a financial asset, generating revenue from increasing scarcity and inflating prices at the expense of taxpayer livelihood. In Sacramento County, The Blackstone Group owns nearly 50,000 rental homes, allowing them to control the tide of the market with ease. Politicians like Scott Weiner and Sonja Trauss have fought diligently to deregulate the market and allow real estate powers to continue land speculation as a means of extracting capital from all types of development. This real estate behemoth has even turned to Alice Huffman of the NAACP to endorse their No on 10 campaign, from which her firm looks to make $800,000. With land values continuing to increase housing will not trickle down to low-income groups. As rental tides rise due to high land costs all other units on the market will follow. Incentives to prevent rent control from even remotely hitting the ballots come from the powerful and wealthy who have invested in the market while prices are high, with the expectation that they will only go higher. If rent control were passed in every California city housing production would not stop, it would likely boom. Restrictions on rental increases for units in new buildings would drive down land values from their all-time luxury highs, as wealthy developers would be unable to build for the highest bidder. Where is the data to support any of this? In March of this year, The California Housing Partnership Corporation (CHPC) published key findings indicating that “state leaders must immediately reinvest in affordable homes”. The underlying data supporting their findings indicates that “state expenditures are highly inequitable between homeowners and renters”, the estimated disbursement for homeowner households for the 2018-2019 fiscal year is $929 while renters will only receive $71. This study also concludes that California’s poverty rate has directly correlated with rises in rental prices. 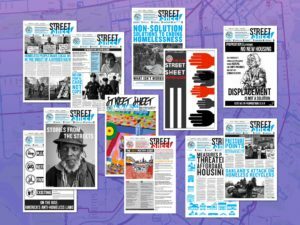 Concurrently, The Anti Eviction Mapping Project has crowdsourced data indicating that San Francisco has seen roughly 40,000 evictions over the last 40 years, accounting for roughly 10% of the city’s housing stock. Of these evictions over 10,000 have resulted from owner move in, buy out settlements, and Ellis act evictions. It is clear that renters across the state not only lose out on a massive amount of equity to their home-owning neighbors, but for every year they rent they are systematically disenfranchised and more likely to experience eviction related hardship. The inequity of homeownership benefits over that of renters is primarily in the form of Real Property Tax Deduction and Mortgage Interest Deductions, this does not include the tax stabilization effects resulting from Prop 13 which further reduced the volatile risks of property ownership. In effect, Prop 13 is a price control mechanism that passed in 1978 for homeowners. It measures similar to rent control, as it limits annual property tax increases to two percent or less. This has given homeowners increased housing security and reduced displacement from the speculative market. Many renters voted in favor of Prop 13 under the impression that these savings would be passed down. Despite this impression, the California Housing Council opposed Prop 13 on the grounds of having little to no method to enforce unfair rental increases by property owners receiving tax breaks. CHPC also highlights that “low-income housing tax credit (LIHTC) production in California declined 45 percent in anticipation of federal tax reform”. The present political climate has become unreliable for developers utilizing LIHTC, indicating a drastic decline in the total number that will be built, fundamentally challenging patchwork development strategies that have worked in the past and showing potential to further strain affordable housing production. The study hinges on the fact that, on average, “renters need to earn 3.5 times minimum wage to afford medium asking rents” to afford a one bedroom apartment, indicating that the private market, driven purely by profit, has failed to provide adequate rental stock for individuals making under $16 per hour, including Preschool Teachers, Nursing Assistants, Janitors & Cleaners, Childcare Workers, and Retail Salespersons. When the 15.4 percent Official Poverty Measure is adjusted for housing costs and social benefits, it rises to 20.4 percent. CHPC quantifies California’s underperformance to low-income households as a 1.5 million unit deficit, while the supply of market rate is in surplus. It is important to know the facts and to understand that opposition to housing reform in California stems from those financially vested in the affordability crisis as a business model with deep roots in land speculation practices. Effective rent control is an instrument that offers eviction defense and homelessness prevention, while simultaneously reducing housing’s corporate asset characteristics. Utilizing our existing rent controlled housing stock is superior to the YIMBY model in that it reintroduces disenfranchised communities into the conversation of housing production. It’s superiority hinges on the provision of real and tangible protections for the housing-insecure populations that live predominantly in urban, job-rich areas. The YIMBY “build, build, build” mantra is ineffective in benefitting low-income communities, and grants authority of the built environment to the highest bidder. Put simply, YIMBY fails in that it does nothing to address inflated land values which require higher rents to generate adequate return. Leaving the private market to the task of building more housing will never provide desperately needed access for low-income communities, as stakeholders expect prices to rise as a means of generating their desired investment return. Unless Costa-Hawkins is repealed, local governments will not have the control they need to reverse the alarming increases in housing costs and homelessness, and trickle-down housing advocates will continue to displace low-income tenants as a form of modern redevelopment. Prop 10 is a democratic call to arms when all working class and low-income Americans say enough is enough and demand the protections that enable all to thrive and enjoy opportunity.